For over 33 years, L-L Towing Co has been providing towing services to Liberty, MO and surrounding areas. The middle of nowhere is the worst place to be when having car issues. This is the time when you need reliable and trusted vehicle assistance the most. L-L Towing Co is able to provide towing assistance at a moments notice. By being able to provide 24 hour emergency towing, we are here for your most pressing car needs. Don’t let the unpleasant outcome of a sudden blowout or a broken axle leave you stranded. Our wrecker services are as convenient as they are essential to any motorist on the road. Keep us in mind for your towing service needs in the event of any unforeseen hazards. 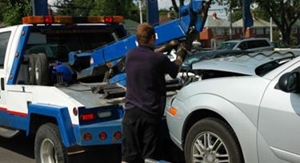 Call now, (816) 368-4775, for your tow service needs. Call Now for Vehicle Assistance! Copyright © 2018 lltowing.info All rights reserved.